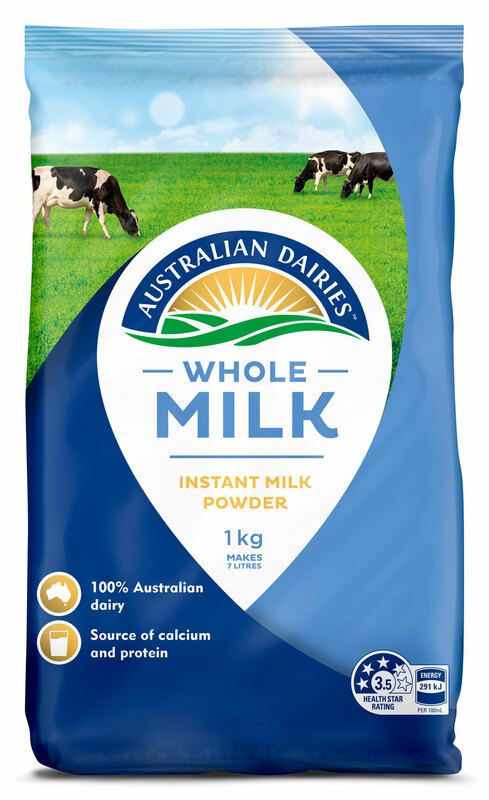 With a deliciously creamy taste and 8 essential nutrients, including calcium for strong bones and protein to support muscle development, Australian Dairies Whole Milk Powder is packed with natural goodness and perfect for the whole family. 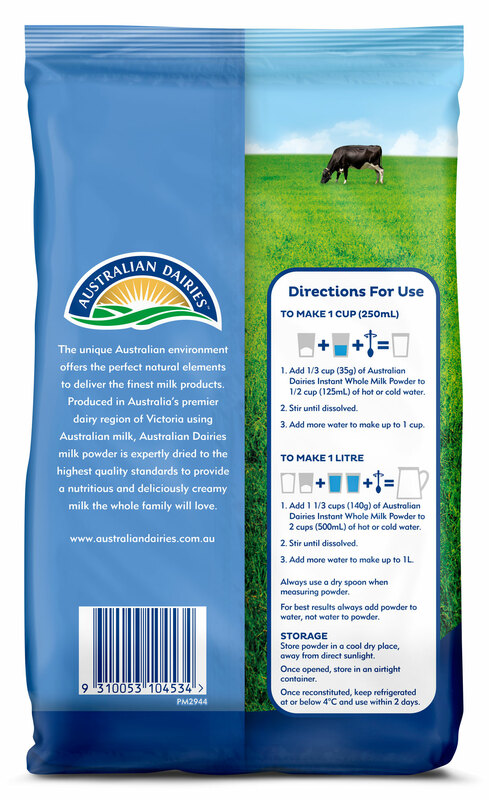 Add 1/3 cup (35g) of Australian Dairies Whole Milk Instant Milk Powder to 1/2 cup (125mL) of hot or cold water. Add 1 1/3 cups (140g) of Australian Dairies Whole Milk Instant Milk Powder to 2 cups (500mL) of hot or cold water.